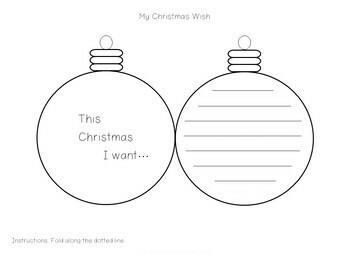 A printable Christmas tree bauble for your students to decorate and write their Christmas wish inside. Print on white paper or coloured paper. Write, decorate and hang on the Christmas tree with a ribbon.